The Rwandese squad will be looking to take their chance on the global stage. 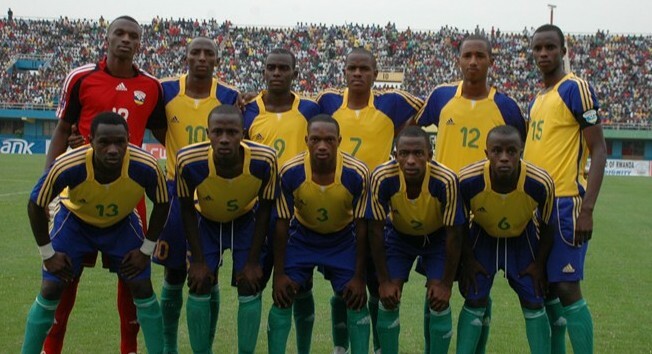 This summer Rwanda Under 17s will be the first side from their country to ever make an appearance on the world stage. The Junior Wasps will play in the FIFA Under 17 World Cup after winning the African Under 17 Championship earlier this year, beating Burkina Faso in the final. The African champions are joined by Burkina Faso, Congo and Ivory Coast in Mexico where they will be looking to boost the profile of Rwanda on the world stage. The government in the country have heavily stepped up their efforts to give support to the side. They have paid for a 20-day training camp for the boys in Paris. Rwanda will take on France Under 17s on 28th April after games against Auxerre, Lyon and PSG’s reserve outfits. It is even more surprising that the Under 17 league in Rwanda is not even fully functioning yet. Tardy has a small selection of players that play outside the country but the majority play their trade in their homeland. The draw for the World Cup will be held in Mexico on 17th May, you can see that draw here on The Youth Radar! The young boys from Rwanda started a history which will be bigger than their dreams ‘.And the whole world will be waiting to see what they can deliver………WE ARE PROUD OF YOU.